Apple’s ’12 Days of Gifts’ initiative is in full swing, and while some people may have been disappointed with some of the apps, movies and music that have been on offer for free by the folks in Cupertino, we’re supremely confident that the latest offering to be dangled in front of customers will be extremely well received. As our screenshots show, people outside of United States and Canada are already seeing the hugely popular Christmas flick Home Alone in their ’12 Days of Gifts’ app, with the timeless classic being made available to download for FREE by Apple. We are a huge fans of the Home Alone series, though as everyone knows the first movie was most definitely the best. Perhaps someone at Apple agrees with us? Home Alone saw a young Macaulay Culkin make his big screen debut, and the rest of course is history. The movie may be a good 23 years old at this point, but there’s no denying its classic status at this point. If somehow you’ve never seen it, we suggest you download it ASAP – whether it’s free or not! 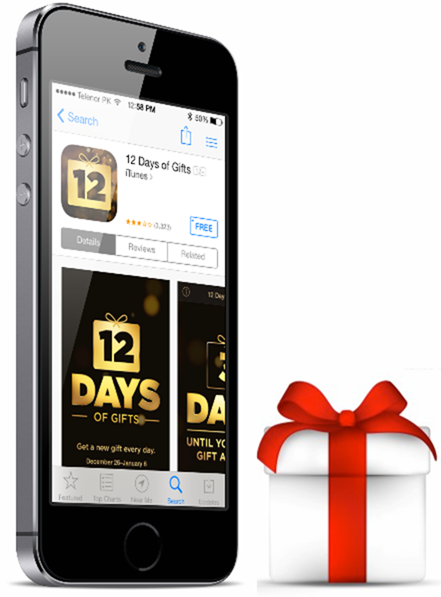 For those of you in United States or Canada, Apple is offering the 2011 released Hugo on iTunes as part of its ‘12 Days Of Gifts’ app. Hugo won five Oscars at the 84th Academy Awards. Remember folks, this offer is valid for today only. You can grab Hugo (U.S and Canada only) for free from here. Home Alone (outside U.S. and Canada) can be downloaded for free from here.